The Lexus is one such brand which is known for the top luxury cars, while the all-new and redesigned 2019 Lexus ES is making headlines. The 7th generation of the ES was showcased for the first time in the 2018 Beijing International Automotive Exhibition and introduce the new design which is the major highlight of the event for this sedan. It is the first time ever that Lexus has introduced the ES in an F-Sport trim and also a fuel-efficient 300h trim which is a hybrid powertrain. The all-new Lexus ES has a new design and sleek coupe-like profile, with sharp styling and advanced aerodynamics making this midsize sedan best in the segment, Furthermore, premium materials are used to adorn the interior and all advanced safety and technological features are added to enhance the comfort and convenience of this luxury midsize sedan. Here are a detailed review and a closer look at the new hybrid powertrain, performance, design and safety features of the top luxury cars latest entry. 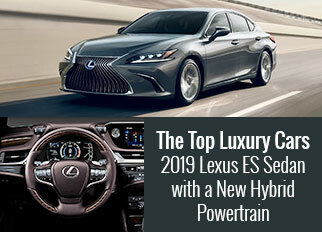 Being one of the “most advanced ES ever” by the Lexus, the ES has many amazing performance features to be on the hit list of the top luxury cars buyers. Having a powerful engine and an all-new hybrid powertrain, the Lexus ES 2019 midsize sedan is a performance packed machine. 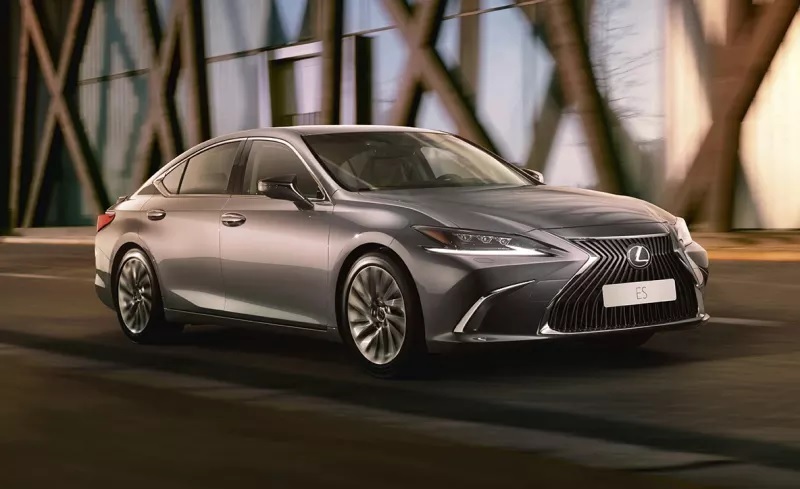 The 2019 Lexus ES in top luxury cars segment is the first vehicle which is fitted with the world’s first swing-valve shock absorber. These are mean to deliver a smoother and more refined ride on the rough terrains. It is front-wheel drive midsize sedan, available with three engine options, while one of them is the brand new hybrid fuel-efficient engine. The available three engine options have the first engine is a 2.5-Liter Inline 4-Cylinder engine, paired with an 8-speed direct-shift automatic transmission. With this transmission the engine can produce 184 horsepower and 245Nm of torque, enabling the 2019 Lexus ES to go from 0 to 100 Km/h in 9.8 seconds; and has a top speed of 207 Km/h. While the fuel efficiency of this engine is 17.2 Km/L which is very impressive for this segment midsize sedan. Furthermore, the second engine option is a 3.5-liter V6 engine which is paired with the same 8-speed direct-shift automatic transmission, while it can propel 302 horsepower and 362Nm of torque. The Lexus ES 2019 can go from 0 to 100 Km/h in merely a 6.8 seconds and has a top speed of 230 Km/h; and fuel efficiency of 12.8 Km/L. The third engine option Lexus ES 300h trim (hybrid) which is the most exclusive engine option available for the ES. The 2.5-Liter Inline 4-Cylinder hybrid engine paired with a Continuously Variable Transmission (CVT) is available for the top luxury cars newest and string competitor and the engine is capable of generating 215 horsepower and 279Nm of torque. This enables the Lexus ES 2019 to go from 0 to 100 Km/h in 8.1 seconds with a top speed of 230 Km/h. Also, the fuel-efficiency is very impressive for this hybrid powertrain, which is of 21.7 Km/L. Combining the design and glory at one place, the designers at Lexus has worked hard to meet the contemporary design with advanced aerodynamics. 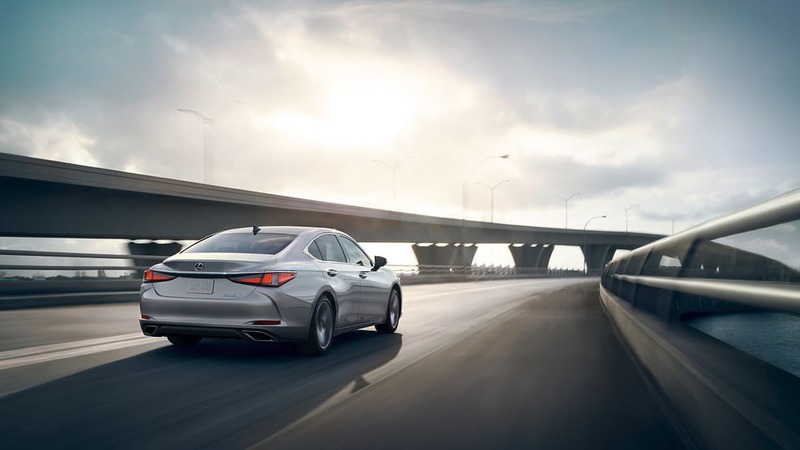 From every angle, the 2019 ES looks stunning, sharp and exudes a style which no other brand midsize sedan could do. The Lexus ES 2019 is built on a latest and all-new platform which has a longer and wider stance. The athletic appeal of the vehicle is from predecessor’s coupe-like silhouette, which is from Lexus LS which is a flagship of the brand and has a sporty appeal. The front fascia features a massive signature grille having chrome accents making it look more stylish and sporty while the elegance element is there in all Lexus the top luxury cars as the main design features. On both sides of the grille, there are new 3-Eye Bi-Beal LED headlamps that illuminate the road and looks very appealing as well. It is available in 10 exterior colors which include, Sonic Quartz, Black, Platinum Silver Metallic, Mercury Gray Mica, Red Mica Crystal Shine, Sunlight Green Mica Metallic, Sonic Titanium, Graphite Black Glass Flake, Deep Blue Mica, and Ice Ecru Mica Metallic. Just like the exterior, the interior also compliments the style philosophy of the brand and offers wide headroom and legroom. It has a seating capacity to 5 occupants and features a luxurious cabin, panoramic moonroof and dozens of technology and comfort features which makes the top luxury cars best in the segment. The seats are upholstered with a 10-way power adjustable seats, having lumbar support, heating and ventilation system as well. The 3 spoke leather-wrapped steering wheel is fitted on the front of the driving seats and has wood inlays, a 4.2-inch color TFT multi-information display. Also, it features a 12.3-inch touchscreen, Independent Temperature Control, Lexus Navigation System and many other advanced technologies. 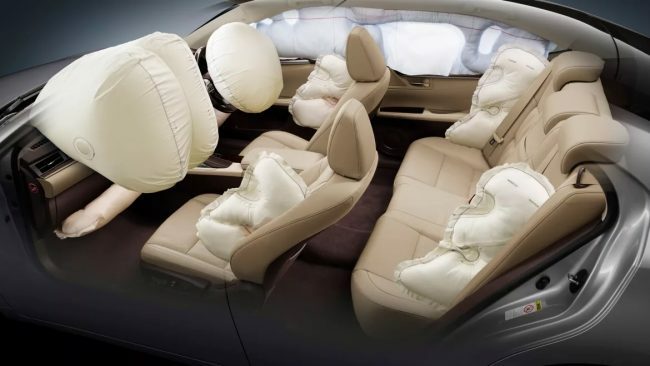 Being a latest and most-awaited car in the top luxury cars segment, the Lexus has not put behind the safety aspect for their vehicle. Laced with advanced and latest active safety features and driver-assistance technologies enables the driver to have more control over the vehicle while ensuring a safe drive. Also, the enhanced safety features allow the driver and occupants to have better control and safety for all occupants. 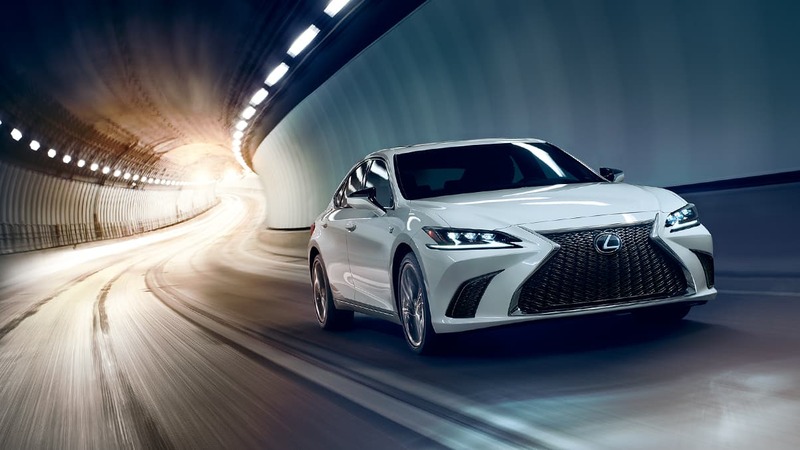 2019 Lexus ES is already available in the UAE with 6 trim levels (ES 250 Platinum, ES 300H Premier, ES 300H Platinum, ES 350 Premier, ES 350 F-Sport and ES 350 Platinum) choice and three engine options to choose from. 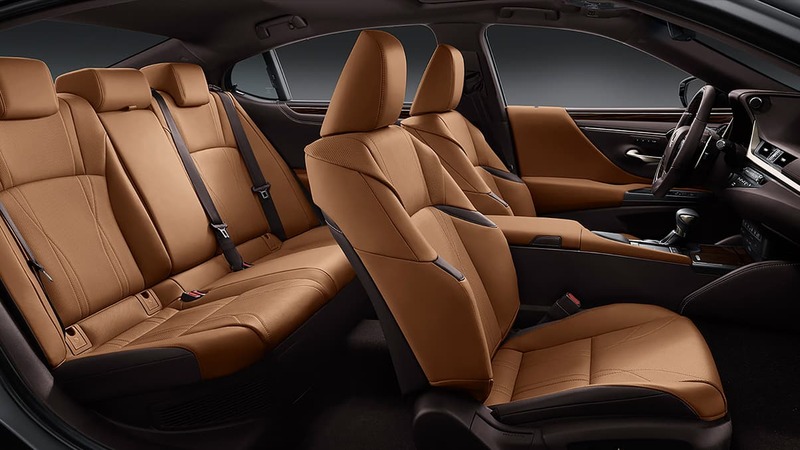 While the starting price tag of the 2019 Lexus ES is AED 195,000 which can go as high as AED 246,000 depending upon the optional features and technologies alongside trim level chosen.